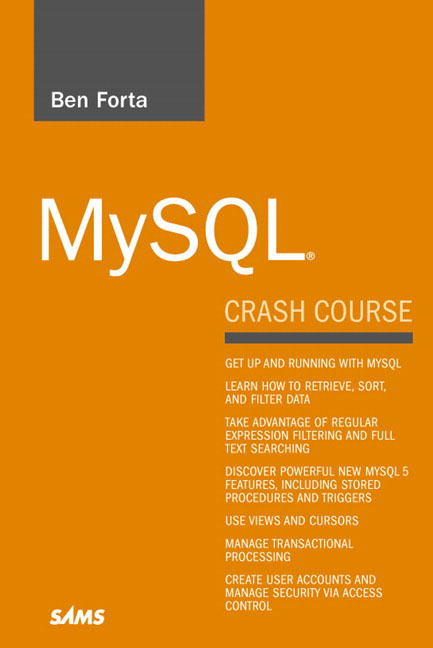 The first book I have read about SQL is Ben Forta’s ‘MySQL Crash Course’. I like Ben’s writing style where each chapter only contains few but important things worth doing hands-on trial and remembering. Generally, below is some notes after my reading this excellent book. Thanks Ben and his fabulous book! This entry was posted in Programming and tagged mysql. Bookmark the permalink.